Looking for a Native Plant Nursery in Sydney and New South Wales (NSW), we provide a list of specialist Australian Native plant and wildflower Nurseries. A specialist native tree grower or native plant nursery can provide you with the widest range of Australian Native Plants suited to the Sydney climate and soils, including the latest cultivars that are suitable for use in home gardens, parks and for general landscaping use. Plants such Christmas Bells (pictured right) are iconic Sydney Wildflowers and along with many other wildflowers are available from nurseries. Drainage is a very important factor, many Australian Native Plants we choose for gardens in NSW require good drainage, so if you have soil that is water retentive you may wish to look at species that will cope with these conditions. If drainage is poor consider amending the soil to improve drainage or perhaps raising the garden beds to achieve the same effect. This is especially true with some of the wonderful flowering plants from WA, it is often best to look for grafted varieties that are grown on a more tolerant rootstock. Most native plants are best pruned lightly and frequently rather than heavily, usually tip pruning is best, and the time to do this is after flowering. Mulch is an excellent way to retain some moisture and prevent weeds, weeding can disturb root systems and native plants usually resent this. Fertilizer is perhaps the biggest problem with native plants, many fertilizers have phosphorus in then, native plants in general do not require phosphorus, so look for a specialist native plant fertilizer. Frost can be a problem with some native plants, especially those that are found naturally in areas where they are sheltered from frosts by larger plants. If you can mimic the native environment then frosts will not be a problem. With some wonderful specialist native plant nurseries located in Sydney itself as well in the Southern Highlands, Wollongong, South Coast, Northern rivers and Southern Tablelands plants for native gardens are in good supply. It may be that you are looking for bulk plants for a revegetation project, or some plants for a small native garden, a native plant nursery is the place to look. With growing numbers of nurseries having online stores it has never been easier to find plants for the garden. Specialist Australian Native Nursery, with wide range of plants for: Gardens, Bush Foods, Cut flowers, Revegetation. Suitable for hot summers and cold winters. 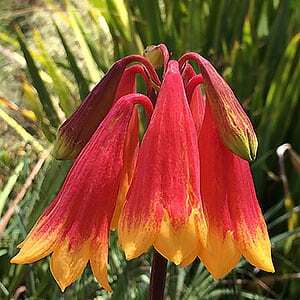 MAIL ORDER – Hundreds of native australian plants to select from. Deliverd to your door. Inexpensive!